Lumpiang Ubod are served with a special Sauce made from cooking a mixture of vinegar, soy sauce, a bit of sugar and salt thickened with Cornstarch. 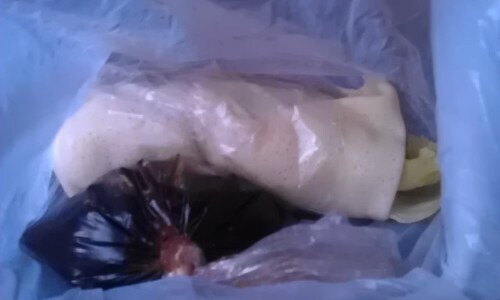 Below is a not so clear picture of Lumpiang Ubod. I chanced upon a street vendor of Lumpiang Ubod during my brisk walk around Sampalok Lake in San Pablo City, Laguna while I was on vacation in my hometown. The freshly made egg rolls are soft, the Lettuce was fresh and crispy and it was made so special by its delicious Sauce. They were individually wrapped in plastic so it can be readily eaten while strolling around the lake.